The WINTRAC 4 XTREME is the first high performance SUV winter tire to carry the signature of a top designer. Giugiaro�s innovative design and sleek lines give the W-shaped tread a powerful appearance. 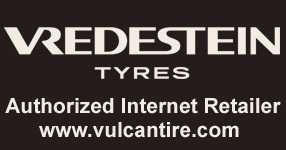 The tire reflects the latest developments, offering you the very best in design, safety and comfort. The WINTRAC 4 XTREME has excellent on-road properties, but also features a number of important all-terrain characteristics. For instance, the tread has good self-cleaning properties, resulting in an excellent performance on wintry and unpaved roads. Powerful appearance due to aggressive, taut lines. 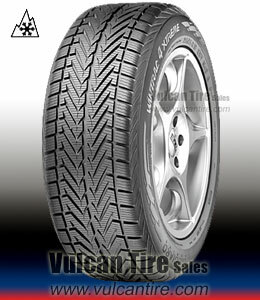 Excellent self-cleaning properties due to sophisticated W-shaped tread. Optimum Silica Processing (OSP) in the tread compound offers good grip on wet roads outstanding aquaplaning stability. Refined tread compound rigid sidewall Special belt construction offers precise steering at high speeds. Equal distribution of pressure in the tread with blocks that vary in size offers comfortably low noise levels throughout the lifespan of the tire.